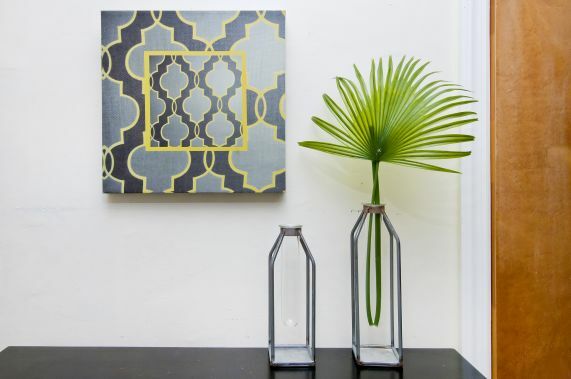 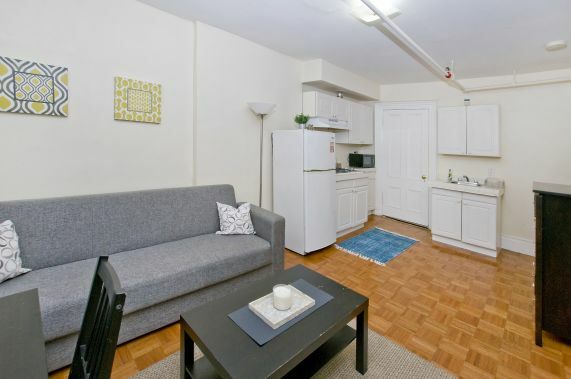 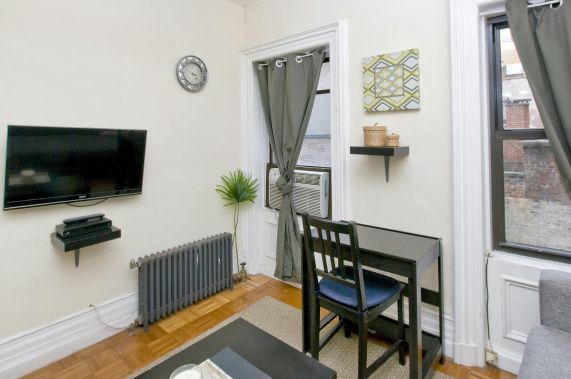 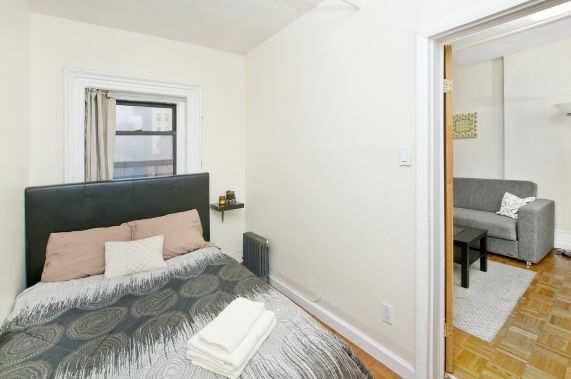 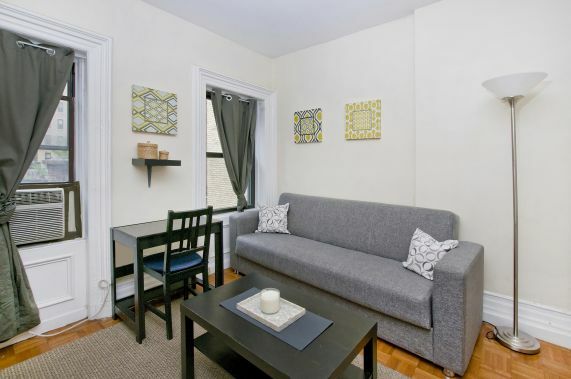 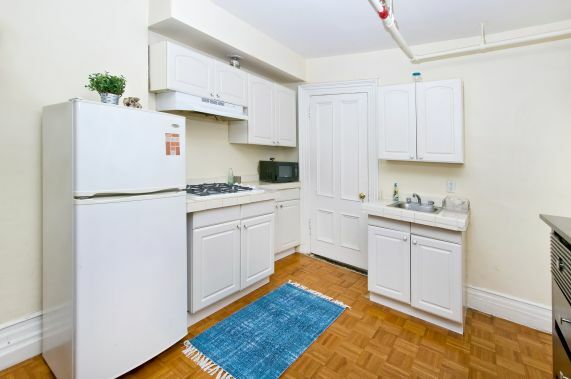 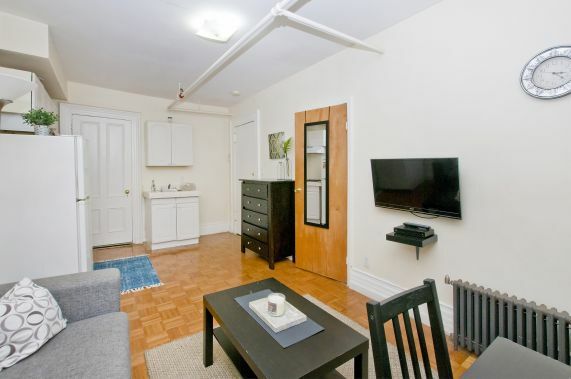 This sunny, fully furnished 1 bedroom apartment boasts high ceilings and a spacious floor plan. 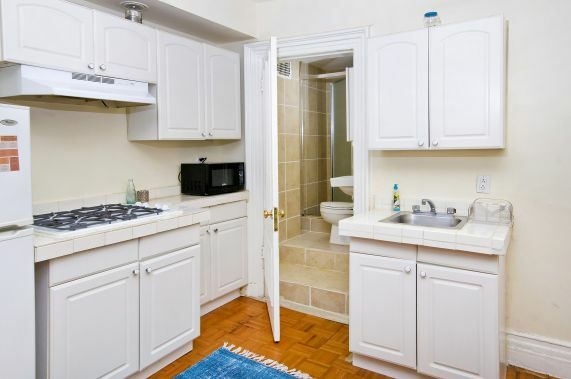 It is conveniently located in the heart of New York City- just steps away from Grand Central Station. 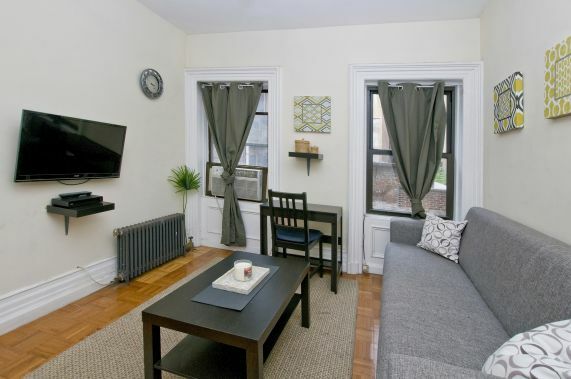 The peaceful and quiet interior has been fully renovated and has all brand new furnishings. 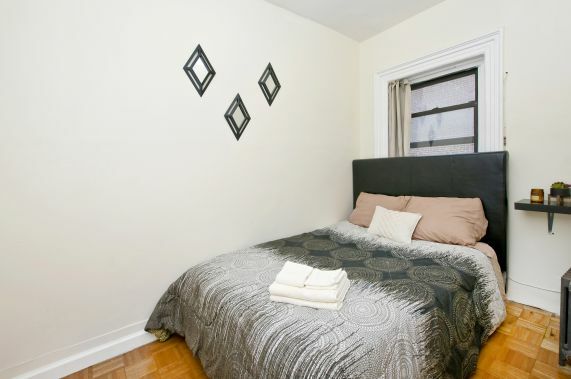 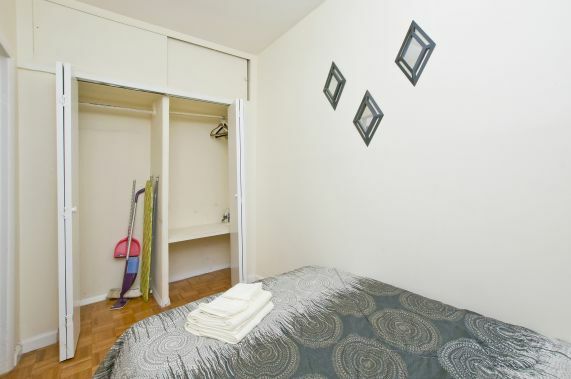 The bedroom has a full size bed with fresh linens, and two large closets for clothing storage. 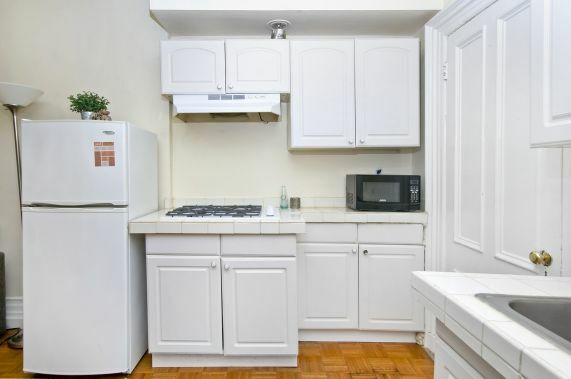 The kitchen has a gas stove-top and comes stocked with dishes, cups, pots/pans, and cooking utensils. 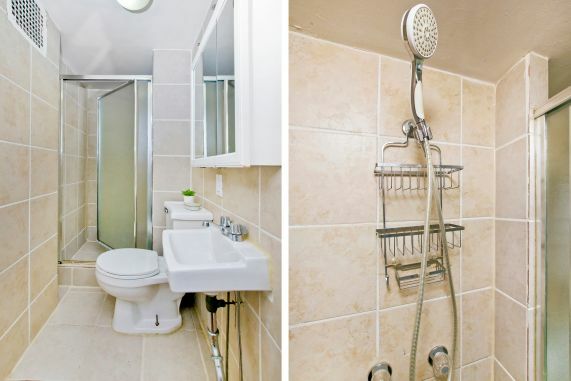 Towels provided for ample bathroom with standing shower. 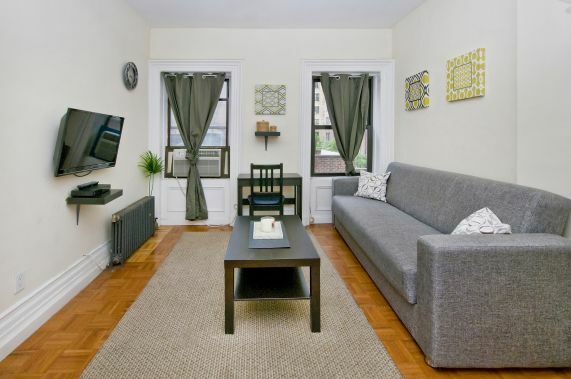 The living room has a queen size sofa bed, which allows for additional sleeping accommodations.